Gray or Black Shorts in a tiedye pattern. Gray shorts are available in 5xl, in a marble pattern, with either all colors, or with black only. Black shorts available in size medium, with a gray/white marble pattern. Each design will be unique, no two are ever the same!! 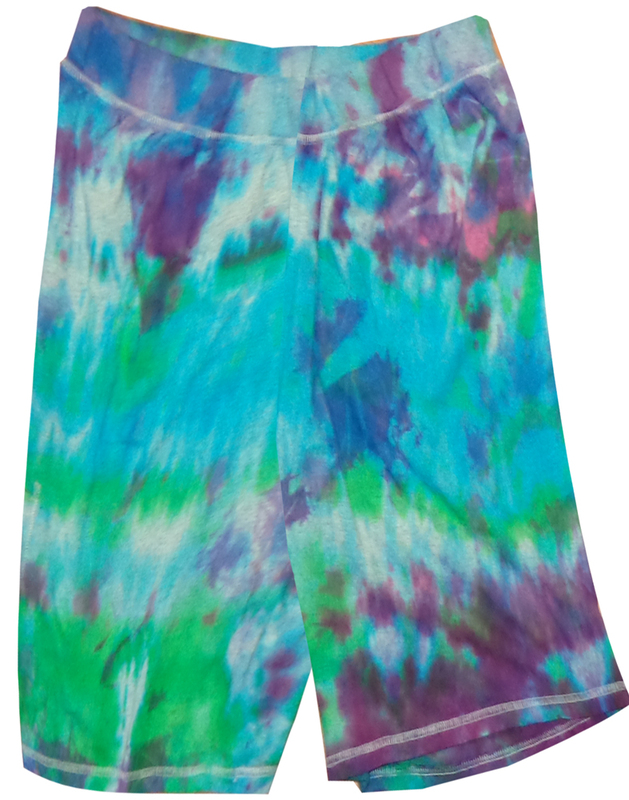 Elastic-waist Shorts - Instantly comfortable with a relaxed fit in a variety of colors and sizes.